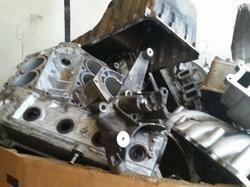 Our company supply of automotive engine scrap available. Alloy engines, blocks, transmissions & accessories. 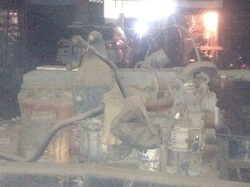 We can supply all types of automotive and engine scrap. 2. Automatic and manual transmissions. Since we have acknowledged ourselves in this market, we are immersed in providing a wide variety of Automobile Scrap. These scraps are immensely acknowledged for their reusable nature and reliability. In addition, this offered scrap is used in varied industries for their different purposes. These scraps are available at cost effective rates. With the assistance of our professionals, we are capable to provide a wide range of Automobile Scraps to our clients. Our gamut encompasses filter & filter elements, radiators, gears, leaf springs, brake assemblies & bearings, clutch facings, head lamps, auto bulbs & halogen bulbs, spark plugs and body parts etc. Prices are solely depended on size of the product. Imported from USA or Europe. Aluminium recovery varies from 38% to 42%. We are amid the most noteworthy names engaged in offering to our clienteles an extensive collection of Auto Parts Scrap. These are offered at market leading rates. These can be availed in various packing options. Having ensured to be composed of the most durable material, we offer Automobile Cast Iron Scrap. to our patrons. The offered scrap material can be achieved at a highly beneficial market price from our firm based on the variegated demand of our patrons.